Note – flights to Singita from Johannesburg or Cape Town and return are not included – please contact our Safari expert to suggest the best flight options for you. Arrival at your choice of Singita Sabi Sands Lodges – Ebony Lodge or Boulders Lodge, situated in the game rich Sabi Sands Game Reserve. Enjoy a late afternoon Game Drive with experienced rangers and trackers – hopefully spotting your Big Game on your first day. Return to your lodge for a hearty dinner surrounded by the stars of the African Bush. Spend 2 Nights at Singita Ebony Lodge or Boulders Lodge in the Sabi Sands Reserve on a fully inclusive basis – all meals and game activities included. Singita Ebony Lodge is located in the Sabi Sands Game Reserve, an area with abundant game and known as ‘the best place in the world to view leopard’. Exuding the atmosphere of a traditional homestead, Ebony’s soulful combination of warm, rich colours, textures and layers invite a sense of authentic charm and comfort. Enjoy your last early morning game drive at Ebony lodge , followed by breakfast. Depart on a Federal Air flight transfer from the Sabi Sands reserve to the Northern part of the Kruger National Park. Singita Sweni Lodge is located in the Kruger National Park and offers spectacular scenery and a high concentration of wildlife. Embracing and intimate, this small and cosy, yet contemporary lodge is cocooned in tranquillity on the banks of the Sweni River. 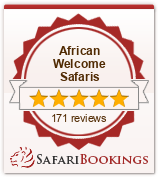 Having experienced two totally different areas of the Kruger National park – this is surely a safari highlight. After your early morning game drive and breakfast – check out of your lodge.